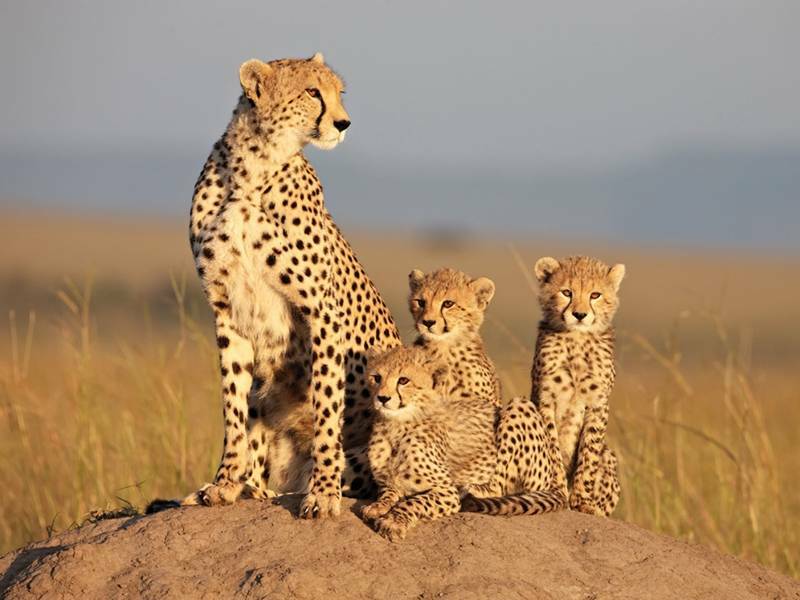 Disneynature’s AFRICAN CATS is leaping into a theater near you this Earth Day, April 22, 2011, and it’s the perfect nature-minded, family-friendly Earth Day activity. Narrated by Oscar-nominated actor Samuel L. Jackson, AFRICAN CATS features the true-life story of various cats of the African savanna: Mara, an endearing lion cub, growing up with strength and courage; Sita, a fearless mama cheetah of five mischievous newborns; and Fang, leader of a pride, working to defend his family from a rival lion. See the AFRICAN CATS trailer after the jump and learn how proceeds from this film help support the environment. Similar to last year’s “See OCEANS, Save Oceans” initiative for Disneynature’s OCEANS, Disneynature will also be supporting conservation efforts with this new film. In honor of every guest who sees AFRICAN CATS during opening week (April 22-28,2011) Disneynature will make a donation to The African Wildlife Foundation to help support conservation efforts in the Savanna and ensure the future of Africa’s diverse wildlife. Learn more about “See AFRICAN CATS, Save the Savanna” at The African Wildlife Foundation’s website. "AFRICAN CATS" Ph: Owen Newman ©Disney Enterprises, Inc. All Rights Reserved. "AFRICAN CATS" Ph: Keith Scholey ©Disney Enterprises, Inc. All Rights Reserved. "AFRICAN CATS" Ph: Owen Newman ©2010 Disney Enterprises, Inc. All Rights Reserved.